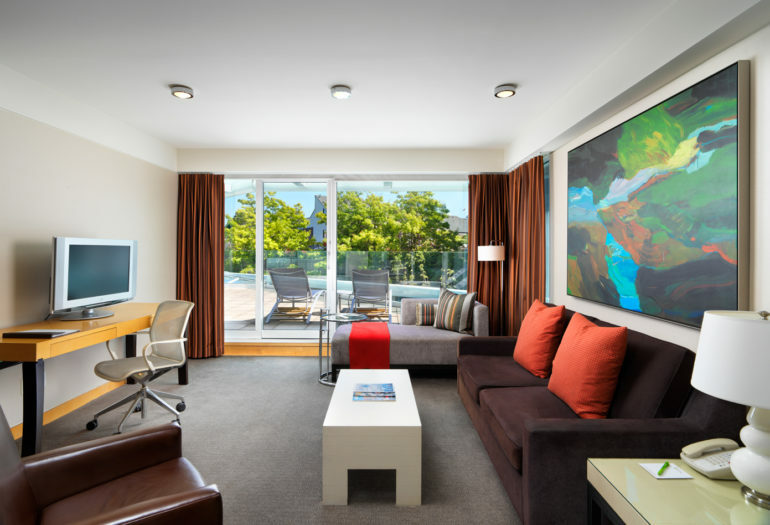 Make a distinct impression – conduct an intimate business function in this exquisite space, or hold a family event. 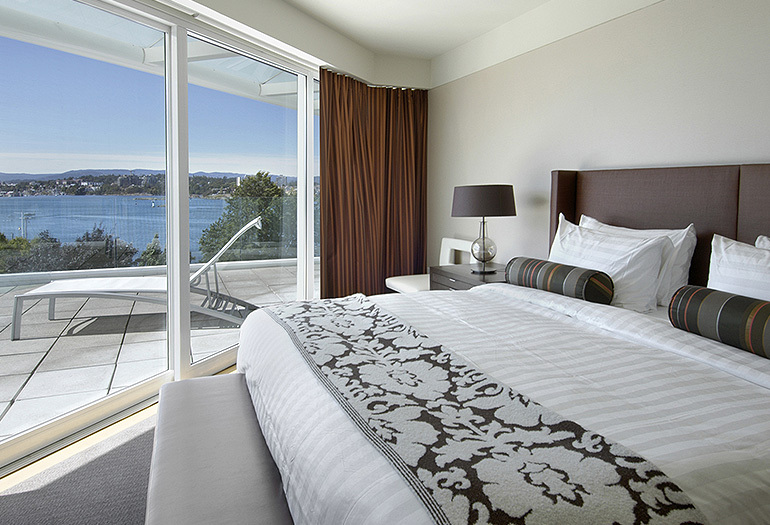 After the last guest has reluctantly departed, you’ll have a separate living room and king bed for an indulgent rest. 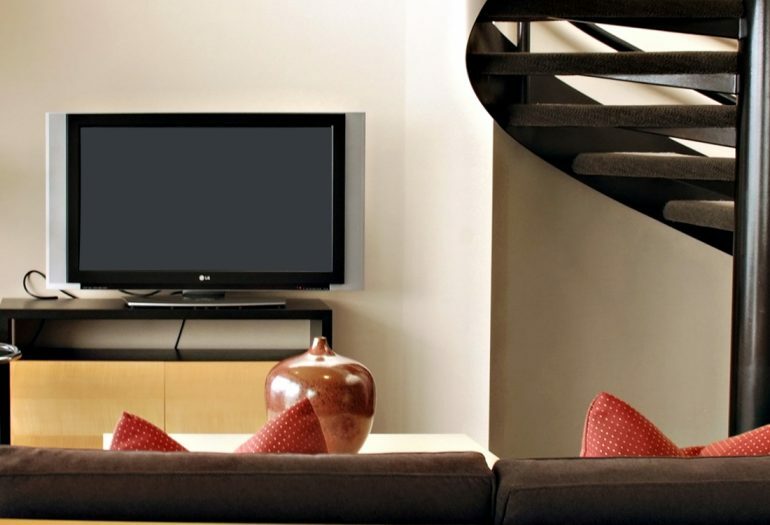 Opulent accents grace the walls and furnishings. 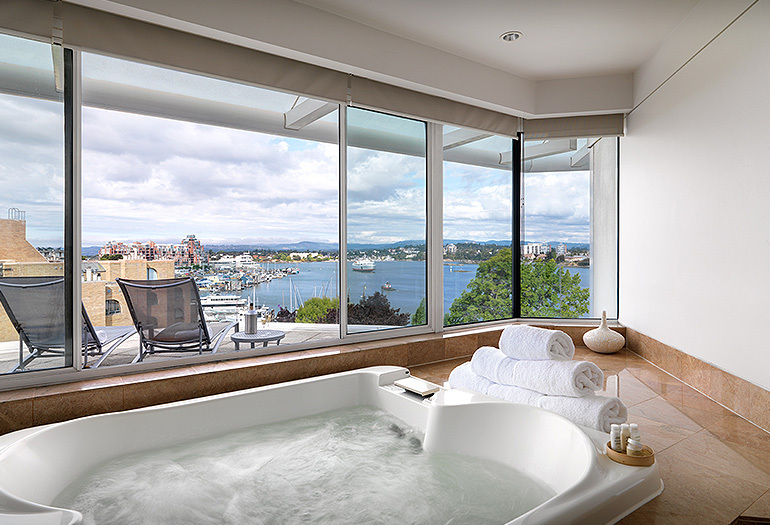 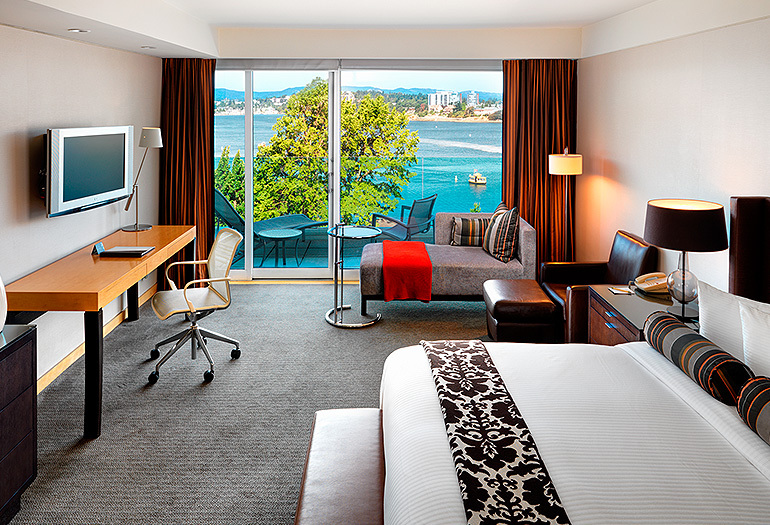 Surrounded by Victoria’s harbor, and wrapped in luxury, a stay in the Executive Suite is unforgettable.